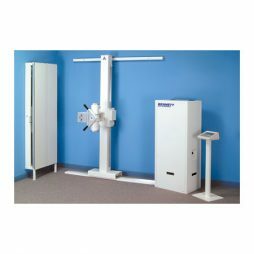 Bennett radiographic equipment has long been known for its: advanced technology, superior quality, industry best product warranty, and affordability. Add value to your practice with any Bennett digital or film-based x-ray system. Tilting Bucky Structure with gear-driven adjustment, ideal for upper cervical images. Conventional Vertical Structures for 17″ x 17″ or 14″ x 36″ film cabinets.